KURAPIA SOD IS CHANGING THE INDUSTRY!!! 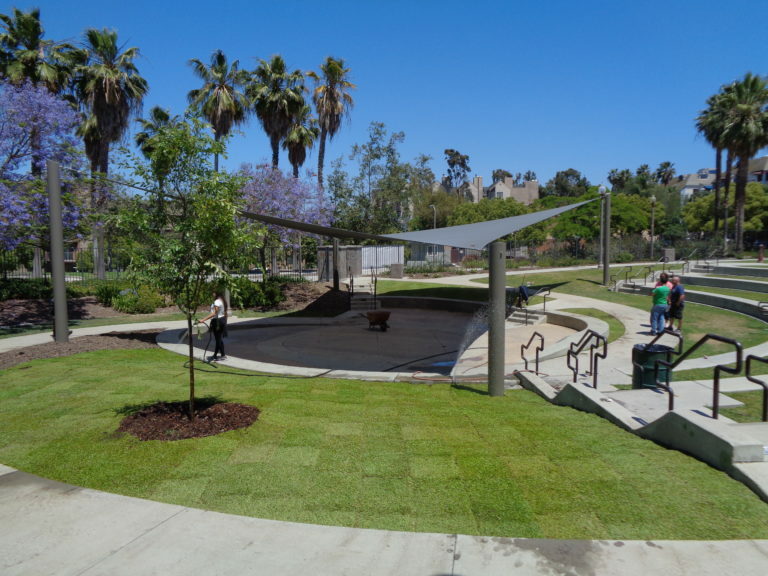 Kurapia is a NEW drought tolerant and low maintenance turf alternative natural ground cover sod in California, Arizona and Nevada. Once established, it requires less maintenance and needs less water than cool and warm season turfgrasses. Establishment takes approximately 21-30 days (March-September) and requires regular irrigation. Once established, Kurapia's water requirement can be maintained aesthetically at 50% of the evapotranspiration versus 80% for cool season fescue. Irrigate Kurapia lightly and frequently to maintain moist soil beginning immediately after installation and until active shoot growth is evident (approx. 2 to 3 weeks). Although Kurapia is tolerant of drought and low water use, the establishment period is not the time to withhold water. After about one month, soak the area once or twice per week to help expedite complete Kurapia cover. Additional irrigation may be required on sandy soil and in full sunlight during warm, dry, and windy conditions. Once fully established, Kurapia has a very deep root system that can reach down 5 to 10 feet below the soil surface. Research at the University of California, Riverside demonstrated that mature Kurapia can be maintained similar to warm-season turfgrasses at 60% replacement of reference evapotranspiration (ETo) in warmer inland climates and likely as low as 40% to 50% ETo in cooler, coastal regions during the growing season. Irrigation should be scheduled 1 to 3 times per week to wet all or most of the root zone while minimizing runoff. Weekly or bi-weekly irrigation during extended drought or dry periods in summer may help winter color retention of Kurapia. Remember that Kurapia or any plant material will look only as good (or bad) as the irrigation system used to distribute water. Avoid over-irrigation to compensate for dry areas caused by poor sprinkler distribution, clogged nozzles, or leaks in the irrigation system. IT IS IMPORTANT TO NOT OVER WATER. It has thick, dense growth, and is a flowering live plant. 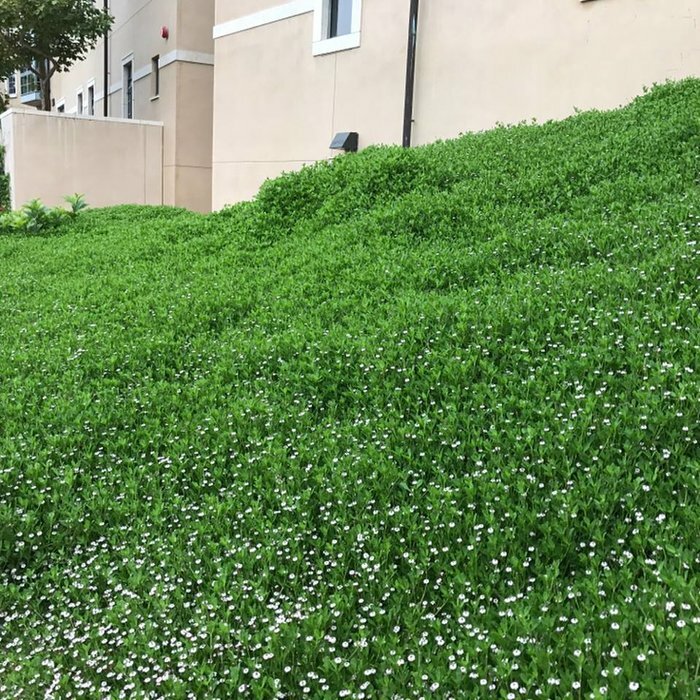 It can be mowed for a more manicured look, or left natural (it grows to about 1"). Kurapia maintains green year around in most locations in California except high elevation areas. 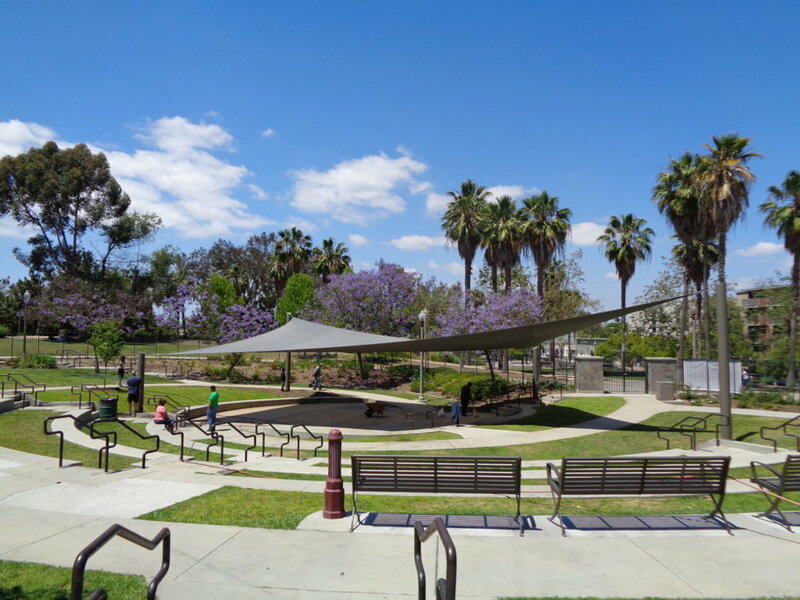 Kurapia's sturdy structure makes it ideal for many uses such as covering lawn type areas, highway and freeway shoulders, rooftops, public utility areas, commercial properties, and landscape areas. It can tolerate light foot traffic, but is not recommended for heavy traffic areas like playgrounds or sports fields. Kurapia grows close to the ground and rarely exceeds one inch high. Kurapia is a great option where you need a ground cover that won't regularly get irrigated. It is perfect for those strips between sidewalks and road ways or in medians. Or, if you want a unique look different from your neighbor's lawn, Kurapia is for you! This product is like nothing else we have seen on the market, so we would be happy to answer your questions. Please contact Dani Booth, our dedicated Kurapia Specialist, to answer your questions. Or for you architects, schedule a "lunch and learn" presentation. We'll be happy to come out and let your whole staff know all about Kurapia and its applications. Note: If left un-mowed and allowed to flower, Kurapia will attract natural pollinators such as honeybees to the area. This is remedied by mowing off flowers. Be sure to contact us for your California, Arizona, and Nevada, Kurapia sod needs! Kurapia application at Soka University in Aliso Viejo. "The only time I watered the Kurapia was the initial week of planting. After the planting, I was worried a couple of times last summer that the heat and dryness would kill the plants. I attempted to fix my sprinkler system and give the plants a drink, but he location gets significant foot traffic from kids and cars parked along the street. Hence I was not able to water them due to broken sprinklers. To my surprise, the Kurapia continued to thrive through the summer, fall, and winter."